Listed below are Musical instruments items for you to car boot sale online here that you will find available in London. If you cannot find the Musical instruments items that you are looking for in London you can add your wanted item to let sellers contact you if they have any Musical instruments items available for you. You can keep your contact information confidential. Enter only an email address in your car boot sale ad to receive offers into your account on our system. We will remind you automatically when new offers arrive for you. To offer your items for sale on this online car boot sale in London simply click Post free ads for Musical instruments link below or the button Post free ad in top right corner of this page. It is fast, easy and free to post an ad in 2lazy2boot. It will take you just few minutes to have the ad seen on our listings. You can then edit your ads any time by clicking “Member area" button on top right corner of this page. The first thought to cross everyone’s mind when they are done using toner cartridges is to throw them away. People rarely care that their throwing away of the cartridges has given rise to the landfills. If you don’t need the cartridge anymore then instead of throwing it away sell if off at Toner Trader. 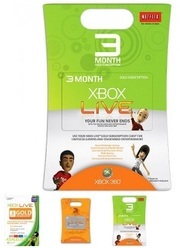 With an Xbox LIVE Gold membership, you can take your Xbox 360 online to play Kinect and controller games with friends wherever they are. Instantly watch HD movies, TV shows and sports, and with Kinect, your voice is the remote control. Enjoy unlimited access to your favorite music with Zune Music Pass. Yamaha RS7000 Music Production Studio The RS7000 is probably the best groove production workstation. It's a drum machine, sequencer, sampler, synth, effects machine. The RS is much more flexible and complete than any other sequencer making everything from hip hop, techno, D&B, ambient genres and it's used also by heavy metal bands. Epiphone sg junior by Gibson for sale , sounds amazing! EPIPHONE SG JUNIOR FOR SALE IN GREAT CONDITION , PLAYING LIKE BUTTER, VERY NICE LOW ACTION AND CLEAR P-90 PICKUP. WILL SUITS ANY MUSICIAN FROM JAZZ TO METAL.ITS 1997 KOREAN MODEL. MORE ABOUT GUITAR http://www.epiphonewiki.com/index.php?title=SG ALSO CAN CHECK POSITIVE REWIES ONLINE.INCLUDE PADDED GOAD RUNNED GIG BAG (WORTH 30£) NO TIME WASTERS PLEASE. www.ResidentStudios.com offer Amazing live rooms with friendly and experienced producers and you can get a lot of enjoy and entertainment while middle of the project I mean in rehearsals. Resident studios guide you to exclusive studio knowledge even if you are new to all this technical ‘behind the scene’ story of music. Resident Studios is a top recording studio, catering to unsigned & indie UK bands. Amazing live rooms, great gear, & big-budget sound & service you can afford. Graveyard Shift Rates at London Recording Studios Make World-Class Recording Affordable. Contact Us Resident Studios Ltd 57a Windsor Road Willesden London NW2 5DT 0208 830 4321 email: info (at) residentstudios. 1956 FENDER STRATOCASTER 100% ORIGINAL 8.5+ CONDITION-Best price!!! ALL ORIGINAL FINISH, BAKELITE, PICKUPS, POTS, SWITCHES Brand: Fender String Configuration: 6 String Style: Stratocaster Dexterity: Right-Handed Body Type: Solid Country of Manufacture: USA 1956 FENDER STRATOCASTER 100% ORIGINAL PARTS w/ ORIGINAL FINISH ALDER BODY with ALL BAKELITE PARTS ORIGINAL PICKUPS, POTS, SWITCHES EXCELLENT PLAYER in 8. SLG110S Description: I bouth it from Yamaha London 7 months ago. Is practically new. Comes with the renewed gig bag , cables and additionally 2 9V rechargable batteries with a charger (They worth 40 Pounds) so you don't have to use it plugged all the time and no money on batteries. I'm selling it b/c I'm traveling, the guitar is perfect, great sound, very very VERY nice neck and you can practice at anytime without bothering. GORGEOUS TOCA SHEILA E CUSTOM SERIES BONGOS I HAVE OWNED THESE FOR ABOUT 18 MONTHS BUT HAVE NEVER PLAYED THEM I ATTACHED THEM TO A STAND WHICH HAS CAUSED SOME DAMAGE TO THE PAINTWORK, AS IS EVIDENT FROM THE PHOTOGRAPH. THIS IS NO WAY WILL IMPACT PLAYABILITY OR YOUR ENJOYMENT COMES COMPLETE WITH. This speaker has barely been used by the owner and is in immaculate condition. The speaker is in perfect working order with no faults or problems. Selling due to moving away can't take it. Specifications are as follows: •Type: 2-way Bass Reflex Powered Speaker. •Components: LF - 8. HF - 1" Compression Driver. All the Equipment very good as new condition Sold as a whole package deal not individually AKAI Z4 Sampler E Magic Unitor 8 Midi Interface Yamaha O1V 96 Mixing Desk Yamaha RS 95680 Portable Keyboard with Stand Roland Portable A37 Electronic Digital Keyboard with LCD screen, MIDI sequencer, sampling and amazing functions, with high quality sounds and a Memory Card. MXR Phase 90 that was modded in america so it can switch between original phase 90 or script phase 90 sound. The Led has been changed to bright blue so shows up on pedal board..
Genuine Indian hand pump Harmonium. This hand-made harmonium was purchased a few years ago from a famous music shop in London’s Camden town for over £200.00. It’s a cool and versatile instrument to have and it is very easy to play. Well kept, works perfectly and it is easy to master. PICK UP ONLY FROM LONDON E17. I was given this guitar and I've not had a chance to get it repaired so I thought there might be someone out there that would like it more than me! It needs a new nut and the electrics need to be fixed, the guitar was given to me in this state so I have no idea what happened to it. Other than this, the guitar is in great shape. YAMAHA CLP 170 CLAVINOVA We are selling this beautiful instrument because it has never been used since it was bought from new. It is a professional instrument finished in polished Ebony, supplied with matching stool. This Clavinova was £4000 when purchased. Winning bid can pay cash on collection • Cabinet with polished ebony finish • New 88-key GH3 (Graded Hammer effect) keyboard • New 3-step Dynamic Stereo Sampling AWM (Advanced Wave Memory) tone generation • Stereo Sustain Samples, Key-off Samples and String Resonance • 50 Sampling Banks • New iAFC (Instrumental Active Field Control) System • 38 + 480 XG voices • 128-note polyphony (Max. 22 x F.A.T PRO Acoustic Tiles. Each tile measures 15" x 15" x 4" (depth). They are grey in colour. I used these tiles in a previous studio in my house… I have since built a new studio incorporating acoustic treatment within the building, so no longer need these. They have very minor marks on the back where they were glued to the wall, which have no effect, either practically or visually. LCD Display 36 T ouch Sensitive Keys 162 Tones 200 Rhythms 50 Demo Songs 61 Percussion Sounds Numerical Keypad for Selection Master Volume / Accompany Volume Control Tempo Control / Transpose Control Multi-Track Recording Function Automatic Chord / Chord Split / Chord Dictionary. Fender jazz bass American custom in white pearl. Mint condition. All as new (protective film still on tuning keys!) with fender hard case, strap and strings. Bought and used in studio a couple of time, but has been in dry storage. It cost over me over £890. Item is recommended for pickup only (London NW3 or Hayes) as I don't trust couriers to keep it in mint condition, but will post at winners exopense and risk - cleared funds before sending. I am looking to sell a Spada-Bach C trumpet, bell 256, TT leadpipe 2QL and round, hammered tuning slide in excellent condition. Valve cluster silver plated, the rest of the trumpet is gold plated. Tunable bell. Stops and amado water keys on 1st and 1rd piston slides. I decided to sell this trumpet to fund my move to UK. If you're a Paul Gilbert fan, this amp needs no introduction - it was his main amp 1995 to 2005 used on his solo records during that time and also used on the Mr.Big Hey Man record. If you didn't know that, well now you do. Spec-wise, it is the combo version of the VH100R head so the VC50 really packs as much punch as any 100W valve head. Well here you go. Good luck with your on line car boot sale in London. We hope you have some success and find buyers/sellers that you are looking for in Musical instruments . Don’ t forget to comment any successes in selling your Musical instruments items in London to our valuation window and report forum! We are sure you will find many people in London looking for your Musical instruments. London car boot sale. Musical instruments for sale ads on online car boot sale in London, second hand Musical instruments for sale in London, Musical instruments ads for free in London, 2lazy2boot - London car boot fairs.